The Rohingya are an ethnic group that live in Myanmar – formerly Burma – they are mostly Muslims in a country that is predominantly Buddhist. 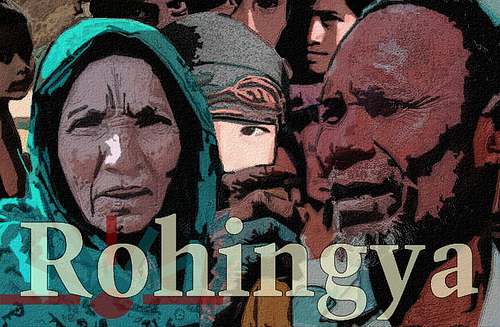 For a toxic mix of reasons – ranging from religious difference, land grab, ethnic hatred to simply being – the Rohingya have been persecuted almost out of existence. First by successive military juntas and now from a democratically elected government itself led by a former political prisoner and Nobel laureate Aung San Suu Kyi. The Rohingya seem to be the favorite whipping boy of everyone with power in Myanmar and the world seems mostly deaf and mute to their persecution. Myanmar is signatory to multiple human right treaties and conventions – pretty much all the ones that matter. It has obligations to protect the rights of indigenous people, women, children, the disabled and pretty much everyone in its jurisdiction. The Rohingya do not deserve to be murdered, their women raped, their leaders tortured and disappeared. No one does. If they have committed a crime – charge and apply the law against them. To the best of my knowledge, their only crime, as a group, is to exist. The violence and discrimination is both by agents of the Myanmar start under the pretense of security and by private militias with the tacit and often, active, support of the State. Today, I stand with the Rohingya.